Accepta 2886 is a highly effective non-oxidising, non-ionic biocide based on isothiazoline at a concentration of 3%. 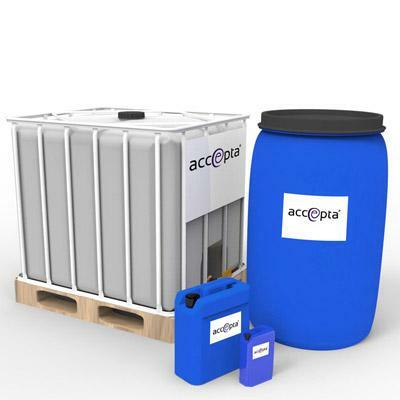 Accepta 2886 is a versatile, multi-use biocide that can be used in cooling water systems, closed systems, for sanitising reverse osmosis systems, and peripheral equipment ahead of these systems. Dosage rate for Accepta 2886 is normally around 50-100ppm though this can vary depending on application. For further technical assistance concerning Accepta 2886 please contact Accepta.